We recognize our obligation to our customers, our drivers, our support team and the communities we serve, and give back generously. We accept the challenge to run our business well to meet the needs of our customers and sustain the livelihood of our people and the communities that depend on our support. We are an engine of positive growth for the people and communities we serve. To do this, we give back to the communities where we work and live. We understand and accept our responsibility to be good involved citizens who are respectful of each other and our planet. We do our best to live up to these obligations every day. Hillcrest Transportation participates in Hurricane Florence relief effort. Hillcrest Transportation this week was invited to participate along with GreenTop Hunt & Fish, K95 Radio and Bill Talley Ford to be part of a relief drive to support the residents of Eastern North Carolina that are displaced from their homes or still dealing with the effects of the recent hurricane. 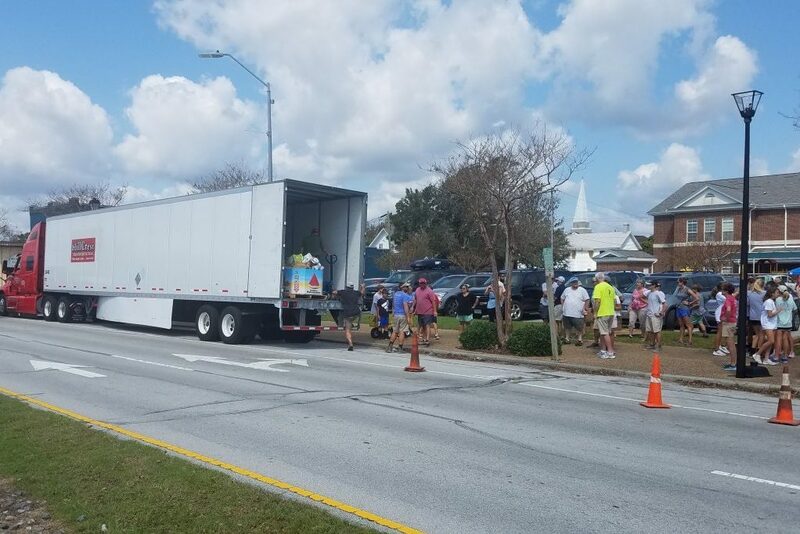 Hillcrest provided one tractor trailer that carried 40,000 lbs of relief supplies to the First United Methodist Church (FUMC) of Morehead City where it was met by over 100 volunteers from the church and Big Rock Sports. FUMC used the supplies to set up a relief center for those needing anything from water, batteries and pet food while all the reconstruction is taking place in this hard hit community. John Edmunds, the CEO of Hillcrest, has long supported disaster relief efforts including past tornado disasters in Waverly, VA and Oklahoma City. The day before New Year’s Eve Hillcrest receives a phone call from the US Government. There had been an issue with Saran gas and they needed to get 300 loads of bleach and caustic to port to be shipped overseas for clean-up. By the next morning Hillcrest had everything set up to load and unload. All 300 loads made it to the port in Norfolk, VA and on ships in less than a week. In each of the recent major storms, Hillcrest has provided transportation services in the clean up and relief efforts. 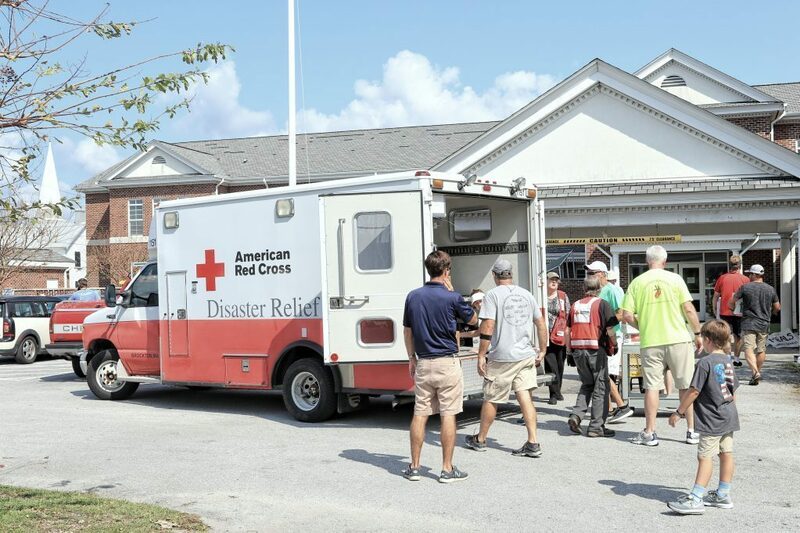 In particular, Hillcrest led the entire process from collection efforts to transportation and delivery of supplies for people affected by tornadoes in Oklahoma and Waverly, VA.
Hillcrest and its employees have volunteered in a multitude of instances where the community is in need. From collecting needed items for disaster victims to helping in local projects that support those in need, Hillcrest and its employees show daily that they care about the communities they live and work in. Our continuous reinvestment in Hillcrest and our commitment to our values has gotten us to where we are today: a financially sound enterprise offering shippers a full portfolio of freight solutions and logistics services they can trust from smart, professional, determined… and caring people.